R&B may be spiralling into an abyss of techno-dances, however, there are still quite a few soldiers fighting the good fight to keep the R&B template soulsters know, grew up on, and cherish – alive. One said soldier on the forefront is Eric Benét. To think Eric Benét has been in the music game for about 20 years (and then some, if you count is work before then), is incredible. And ladies and gents, he has quite a library of music to delve into. Even with the many obstacles, he has gone over and through, his unceasing love for music, innate talent and incredible vocal ability, kept him moving on and he’s still here. Do you remember the first time you heard anything from True To Myself? Well, since then, Mr. Benét has been churning out album after quality album. The One is Benét’s sixth studio album and he doesn’t miss a step with a phenomenal disc from A-Z. His voice – as clear and crisp as ever. His writing – touches everything from sensuality and love to the love of his daughter. Like a fine wine, he gets better and better with time. That in itself is maddening because his career took off in the right direction from the get-go. So what more can really be said? With a play on lyrics lifted from the ever-so-popular spiritual, “Sweet Harriet” is fun and soul-shaking track that opens the album. The brass section compliments his vocals on “News For You,” one of the tracks on the album that have the familiarity his fans are fond of. Benét’s sound has always been organic and touched with the sounds of yesteryear. However, the melodies, harmonies, and breakdown on “Waiting” are fantastic and those characteristics make this a definite stand out on the album. “Muzic” is a perfect pairing of Benét and his beautiful daughter India (who has shown on many occasions that she inherited her father’s gift), using the simile of music to play on their love for each other. A father and daughter duo that cannot be denied. Niceness. “Lay It Down” seems to lay ground as a radio single mainstay, while the country tinge on “Come Home To Me” featuring Jewel Anguay is inviting and delightful. 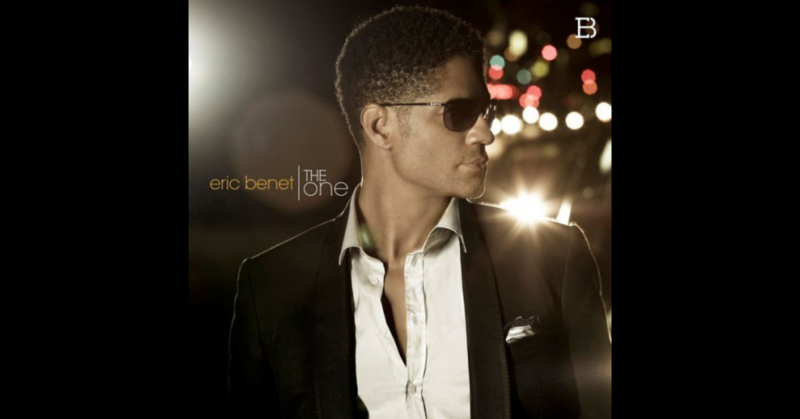 Eric Benét shows absolutely no chance of slowing down musically. And why should he? He takes his time to deliver high calibre work, every single time. Never watered down and never compromising. The One is a sensational piece of artistry from an artist whose track record reflects that of an author crafting a good book. Ever so cautiously building momentum, deliberately having fans sit on the edge of their seat, waiting patiently until the next album. Here’s hoping that the conclusion to this novel is far beyond reach, leaving room for many more musical years to grow old and grey with the talents of Mr. Benét.